WHITTIER – A woman died, but no students were injured, after her car crossed over into opposing traffic lanes a collided with another car and a school bus Friday, officials said. officials as a 60-year-old Los Angeles woman. The crash was reported just before 12:50 p.m. on westbound Beverly Boulevard, just west of the 605 Freeway. Prior to the collision, a Pupil Transportation Cooperative bus carrying 10 La Serna High School students was westbound on Beverly Boulevard in the right hand lane at about 35 mph, CHP Officer Al Perez said. A Lexus sedan was being driven in the left lane of Beverly Boulevard at about 35 mph, just ahead of the bus. The 60-year-old woman was driving a Toyota Camry, he said. “The Toyota was travelling eastbound on Beverly at an unknown speed and, for an unknown reason, came into the opposing lanes,” Perez said. The front, right portion of the Camry first struck the front, right portion of the westbound Lexus, Perez said. “The Toyota continued eastbound and struck the school bus,” he said. The vehicles collided head-on, with the front, left portion of the Camry strucking the front, left portion of the school bus. Firefighters cut the roof of the badly damaged Camry to access the driver, but the woman was beyond help. Paramedics pronounced the woman dead at the scene, Los Angeles County Fire Department Inspector Keith Mora said. Perez said the fatal collision saddened the investigating officers, and he extended his condolences to the family of the dead woman, the students who witnessed the crash and their parents. The woman driving the Lexus was taken to a hospital for treatment after complaining of pain, though her injuries were not believed to be major, Perez said. The driver of the school bus, a La Habra woman in her 30s, was also uninjured, he said. The bus was making its rounds dropping students off when the collision occurred, CHP Officer Joe Zizi said. Some parent picked up their children from the crash scene, Perez said. The rest were picked up by a second bus to complete their journeys. 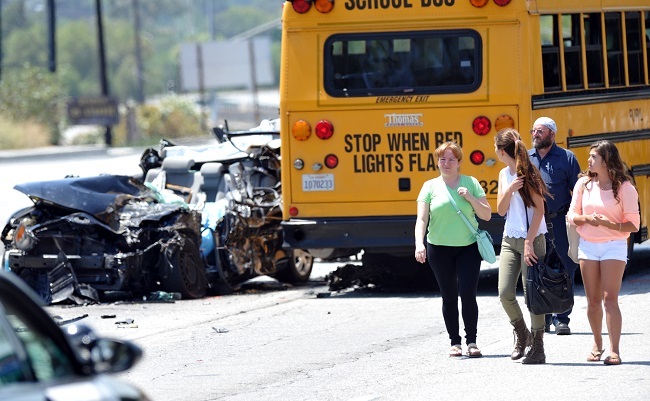 Whittier Union High School District spokeswoman Valerie Martinez said the school will make counseling available to the students who were on the bus. CHP officers shut down both directions of Beverly Boulevard between Pioneer Boulevard and San Gabriel River Parkway for several hours as they investigated the scene. “The CHP is going to conduct a thorough investigation into this incident,” Perez said. As part of the investigation, officers will try to piece together the history of the wrong way driver in the 24 hours prior to the collision. PASADENA – A man reported being followed from a Pasadena gas station and robbed at knifepoint Thursday afternoon, police said. The incident took place between 1 p.m. and 2 p.m., though it wasn’t reported to police until shortly before 5 p.m., Pasadena police Lt. Jason Clawson said. The man left a gas station at Lake Avenue and Maple Street, and believed he was being followed by a silver or gray Nissan, the lieutenant said. A further description of the vehicle was not available. “At Mentor (Avenue) and Green (Street), the Nissan stopped. Two men exited and pulled a knife on him,” Clawson said. The robbers demanded the victim’s money, and he turned over and undisclosed amount of cash before the robbers fled. Clawson said the robbers were last seen heading south on Mentor Avenue . One was described as a Latino man in his early-30s, about 5 feet 8 inches tall with a goatee. The other robber was white, in his late-20s or early-30s and wore a blue or gray work shirt. PASADENA – A man suffered a stab wound to his chest, but was expected to survive, following a fight in the parking lot of Jackie Robinson Park early Thursday, police said. The victim, a 50-year-old man, showed up at an area hospital about 1:45 a.m., Pasadena police Lt. Jason Clawson said. He was suffering from an apparently non-life-threatening stab wound, and was reluctant to provide investigators with information. Police learned that the man had been stabbed sometime in the previous hour in the parking lot of Jackie Robinson Park in the 1000 block of North Fair Oaks Avenue while attending a birthday gathering, the lieutenant said. “The victim stated an altercation ensued, and he was stabbed in the chest,” Clawson said. The attacker, also believed to have attended the gathering, was described as a black man in his late-30s, 5 feet 11 inches to 6 feet tall and about 190 pounds, police said. PICO RIVERA — A report of a suspicious package prompted the evacuation of a bus terminal Thursday before officials determined the box was empty, authorities said. Someone reported seeing a brown cardboard box that seemed out of place behind a building at a Montebello Bus Lines terminal at Passons Boulevard and Jackson Street about noon, Los Angeles County sheriff’s officials said. The package was described as a plain-looking carboard box, about 18 inches by 12 inches in size, sheriff’s Sgt. Marco Soto said. Officials evacuated the terminal and were beginning evacuations of nearby homes when deputies from the Sheriff’s Arson-Explosives Detail used a robot to determine the box was empty, the sergeant said. The all-clear was sounded about 1:30 p.m.
SOUTH PASADENA — Police Friday released surveillance camera images of a man who broke into a Huntington Drive liquor store earlier this week, but fled empty-handed after he was unable to pry open a cash register. 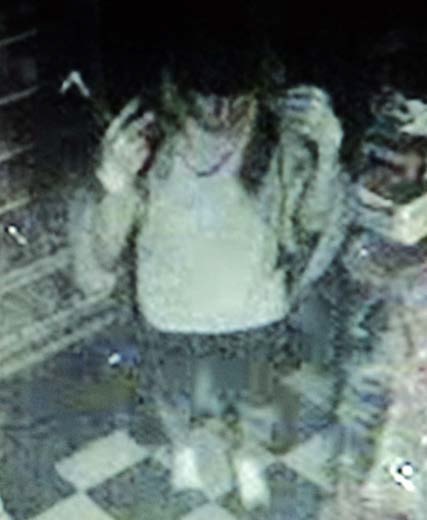 The burglary occurred about 3:35 a.m. Wednesday at Ocean Liquor, 2005 Huntington Drive, Pasadena police Detective Richard Lee said in a written statement. Lee said the burglar parking a white pickup truck with a ladder rack on top in front of the store before knocking down exterior surveillance cameras. He then cut through a security gate and smashed a glass door to get into the store, triggering a burglary alarm. The burglar tried to pry open a cash register, but ultimately failed and left the store without any money or property, Lee said. He was described as white, 5 feet 8 inches tall and 160 pounds. He wore a light-colored tank top, a black beanie, dark colored shorts, white sacks, tan gloves and black sneakers. PASADENA — Police Wednesday arrested a 48-year-old man on suspicion of gross vehicular manslaughter in connection with a March crash that killed a 37-year-old man as he was pulling out of his driveway, officials announced Thursday. Officers arrested Kimson James Wright about 2:20 p.m. at his Pasadena home after toxicology reports confirmed he was under the influence of alcohol at the time of the crash, according to Pasadena police officials and Los Angeles County booking records. The fatal crash occurred 8 p.m. March 16 in the 600 block of North Hill Avenue, near Villa Street, Pasadena police Lt. Ed Calatayud said at the time. Killed in the crash was Jose Daniel Moreno, Los Angeles County coroner’s officials said. “Wright was driving his 2004 Mecedes southbound on Hill Avenue when it struck a 2003 Toyota Matrix,” Hettema said. Moreno, who was behind the wheel of the Toyota, was pulling out of his residential driveway when struck, officials said. After being freed from the wreckage by firefighters, Moreno was taken to a hospital where he died from his injuries. Wright was treated for minor injuries following the crash. Wright was released from jail Thursday after posting $100,000 bail pending his initial court appearance, records show. WHITTIER — Police are planning to check motorists for sobriety and valid driver licenses Friday during a checkpoint, authorities said. The checkpoint will take place from 7:30 p.m. Friday to 3 a.m. Saturday at an undisclosed location within Whittier, Whittier police Sgt. Rob Hanson said in a written statement. Drunken driving-related crashes claimed the lives of 774 people in California in 2011, Hanson said. In Whittier, “Over the course of the past three years, DUI collisions have claimed three lives and resulted in 100 injury crashes harming 156 of our friends and neighbors,” the sergeant said. SAN DIMAS — A man and woman already being sought in connection with a burglary were arrested with the help of good Samaritans in Arcadia Thursday after trying to break into cars at a San Dimas high school, authorities said. The incident began about 8:35 a.m. when deputies recieved a report that the suspects were trying to burglarize cars in the parking lot of Chaparral High School, 121 W. Allen Ave., Los Angeles County sheriff’s Lt. Andy Berg said. A man confronted the suspects, at which point they dropped some burglary tools and fled, Berg said. A second good Samaritan followed the man and woman as they drove off and entered the westbound 210 Freeway, relaying the position of the suspects’ car to deputies, the lieutenant said. After following the car a short distance and waiting for a helicopter to arrive overhead in case of a pursuit, Berg said, deputies stopped the car on the freeway just west of Mayflower Avenue. The man and woman surrendered without a struggle and were booked on suspicion of attempted auto burglary. Their names were not available Thursday morning pending the booking process. No property was believed to have been stolen from the cars parked at Chaparral High School, he said, though other apparently stolen items — such as clothing with price tags still attacked — were discovered in the suspects’ car. 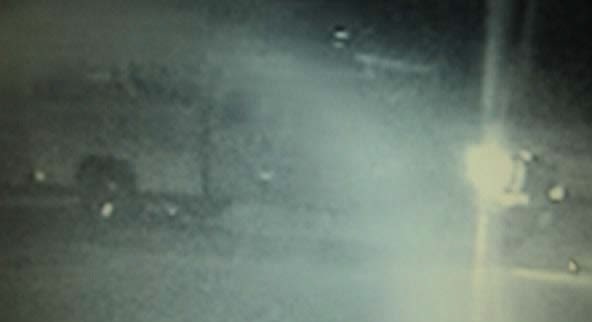 The same car was already being sought in connection with a previous auto burglary Tuesday. “This car, with this license plate, was used in a vehicle burglary in Santa Clarita and was already entered in the system as a wanted felony vehicle,” Berg said. Deputies arrested a man Thursday following a series of five baseball bat robberies at San Gabriel Valley convenience stores in matter of hours, authorities said. Malcom Buchanan, 19, of Duarte was booked in connection with the final robbery in Thursday’s spree at a gas station in unincorporated East Pasadena as officials continued investigating him in connection with the other four robberies, police and sheriff’s officials said. While a concrete link had not been established Thursday afternoon, ““They’re definitely looking into it,” Los Angeles County sheriff’s Lt. Ignacio Somoano said. The string of robberies began shortly after midnight at a 7-Eleven store in San Dimas, investigators said. Similar robberies and attempted robberies were then reported in West Covina, Monrovia, Arcadia and unincorporated Pasadena before deputies spotted a car matching the description of one used in at least one of the robberies was spotted, stopped and arrested by deputies from the sheriff’s Temple Station in Duarte, sheriff’s Sgt. Lynette O’Brien said. Sgt. Pete Shupe of the sheriff’s San Dimas station said masked robber entered the 7-Eleven at 660 E. Foothill Blvd. at 12:11 a.m. He found a clerk working in a back stockroom, Lt. Andy Berg said. The bat-wielding robber ordered the clerk to the front of the store and demanded cash from the register, officials said. When the clerk opened the register, he said the robber reached in, took $200 and fled the store. About half an hour later, a masked man lugging a baseball bat then showed up at the 7-Eleven at 1319 W. Merced Ave. in West Covina around 12:42 a.m.
“He told the clerk ‘Give me the money’ while holding the bat threateningly,” West Covina Police Lt. David Lee said. The robber grabbed about $350 from the till and left. Lee said the suspect was last seen in a white vehicle, possibly a van or a sport utility vehicle. A second suspect was driving the vehicle. The robber was described as possibly Latino, around 5 feet 5 inches tall and about 150 pounds. In the San Dimas case, the robber wore a gray jacket, officials said. Initial investigation indicated the same robber was involved in both crimes, Berg said. Nearly 11 hours passed before three more incidents of convenience store robberies involving a suspect armed with a baseball bat were reported. Monrovia police responded to a report of a similar robbery about 11:25 a.m. at 7-Eleven, 922 W. Duarte Road, officials said. Again, the robber brandished a baseball bat during the crime. A witness to the Monrovia crime was able to provide police with a description and license plate of the getaway car, which was immediately broadcast to nearby law enforcement agencies. Another attempted heist involving a baseball bat wielding suspect occurred minutes later at a liquor store in the 800 block of West Huntington Drive in Arcadia, Arcadia police Lt. Tom Cullen said. It was unclear what caused him to abandon the robbery attempt and flee empty-handed. Minutes after the Arcadia crime, a man with a baseball bat arrived at a gas station at Colorado Boulevard and Michillinda Avenue in an unincorporated county area east of Pasadena, O’Brien said. Deputies searching the area spotted the vehicle and pulled it over on Bashor Street near Vineyard Avenue in Duarte about noon. There was no description of a second robber who may have partnered with the suspect in at least some of the alleged crimes. The robbery in San Dimas capped off a particularly unfortunate month for the convenience store. It was the third incident at the store in recent weeks, which has also experienced another robbery, as well as a car crashing through the front window, officials said. The same clerk was working during all three incidents. A man brandished a pistol in a robbery at the store on May 14, Berg said. He was described as black, 25 years old, about 5 feet 8 inches tall and 160 pounds, investigators said. He wore a dark green hooded sweatshirt and black pants. A car Sunday smashed through the front window of the Foothill Boulevard convenience store, officials said. No crime was suspected in connection with the crash, in which a 50-year-old San Dimas man’s 1990 Honda Accord struck the store after his foot slipped off the brake pedal and onto the accelerator, Sgt. Victor Ibarra said. – Staff writers Ruby Gonzales and Melissa Pinion-Whit contributed to this report. AZUSA — A bleeding man found in a residential neighborhood in unincorporated Azusa early Thursday told police he had been stabbed but refused to cooperate with investigators, officials said. Deputies went to a home in the 18400 block of Ghent Street about 1:45 a.m. in response to a report of an injured man, Los Angeles County sheriff’s Lt. Andy Berg said. The man had cuts to his leg and torso, the lieutenant said. He told deputies he had been stabbed, but refused to describe the attacker or even say exactly where the incident occurred. He was taken to a trauma center in stable condition, Berg said.